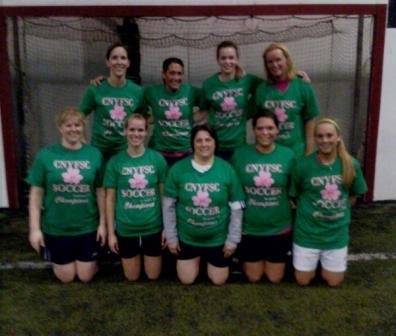 Once again Central New York’s best Adult Soccer Leagues are at the CNYFSC. 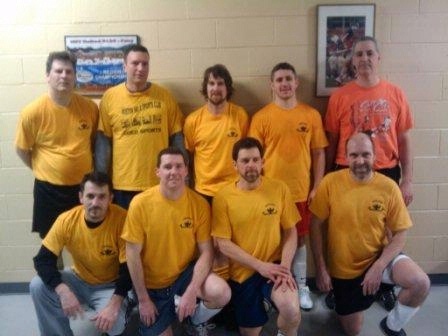 Contact CNY Family Sports Centre Adult Directors Greg Arnod or register your team email Greg at cnyfsc@gmail.com or call the office 315-638-8866. IMPORTANT: All teams are required to put down a credit card to guarantee payment for their team at the time of registration. This credit card will not be billed unless the team fails to pay its league fees. Should the team fail to make payment in full, the remainder of fees will be placed on the given card. Card will be charged after teams scheduled 3rd game if team has not paid in full. Contact Greg Arnold at cnyfsc@gmail.com or call the office 315-638-8866 for start up dates and other information. 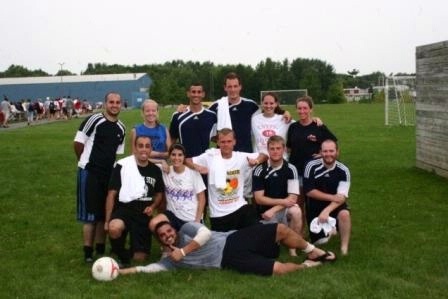 Adult Coed will play 7v7, 6 field players plus a keeper. 3 females on the field. It is legal to play with two, but you must play down a player. Divisions will be formed based on various skill levels. 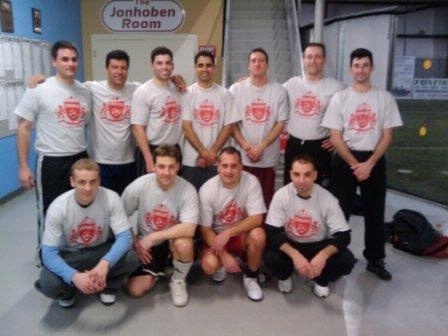 $895 Indoor Winter Fee per team, "Early Bird" $55 discount if team pays in full before or at first game. A $100 deposit is required at registration. IMPORTANT: All teams are required to put down a credit card to guarantee payment for their team at the time of registration. This credit card will not be billed unless the team fails to pay its league fees. Should the team fail to make payment in full, the remainder of fees will be placed on the given card. The credit card will be charged after your teams scheduled 3rd game! Adult Coed will play 7v7, 6 field players plus a keeper. 3 females must be on the field at all times. ALL TEAMS ARE REQUIRED TO SUBMIT A ROSTER BEFORE THERE 1ST GAME! IF YOU USE A PLAYER NOT ON OUR ROSTER YOUR TEAM FORFEITS THE GAME/GAMES THE INELIGIBLE PLAYER/PLAYERS PLAYED! SHINGUARDS ARE TO BE WORN IN ALL GAMES! REFS HAVE BEEN TOLD NOT TO START GAMES UNTIL EVERYONE ON THE FIELD IS WEARING SHINGUARDS! 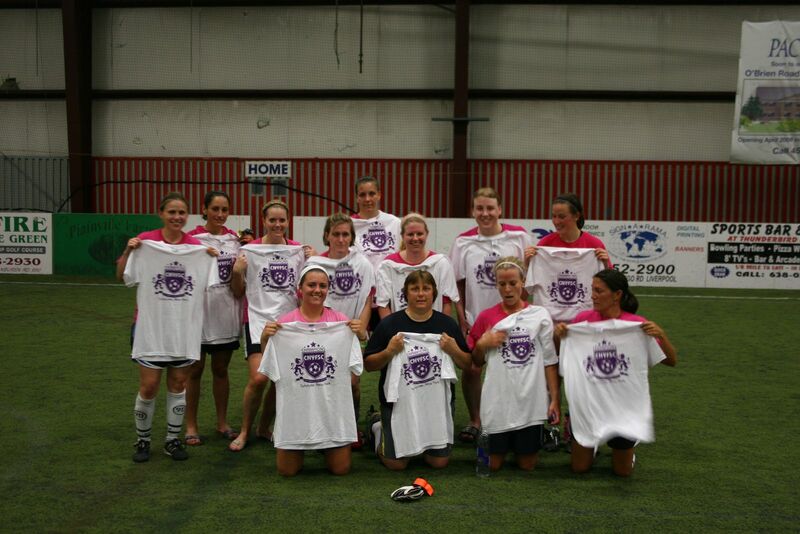 Individual players interested in joining a team can sign up for any of our house teams. Number of sign ups will determine whether or not a House Team is formed. In the case a House Team can not be formed, our Sports Centre Staff will assist that player in joining an established team. This however can not be guaranteed.